(i) Shree Oswal Seeds and Chemicals Limited is a trusted name in the industry when it comes to quality products and on-time delivery of those goods. The Company, ShreeOswal Seeds and Chemicals Limited an ISO 22000:2005 certified Company is engaged in the business of production, processing and sale of different kind of agricultural seeds, maize and soyabean. 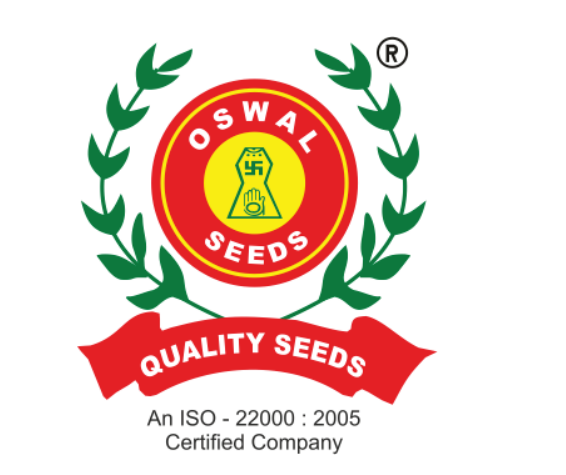 (ii) Their journey of production, processing and sale of agricultural seed began in the year 2002 by their promoters Sanjay Kumar Baigani and Anil Kumar Nahata, as a partnership concern by the name of M/s Oswal Seeds and Chemicals. By gaining an insight of the industry coupled with an foreseeing growth opportunity, they converted their partnership concern into public limited Company in the year 2017. (iii) The Company processes various kinds of seeds at its processing unit which is located at Neemuch, Madhya Pradesh. At present, the Company processes 5 varieties of wheat seed, 5 varieties of soya bean seed, 3 varieties of Mustard seed, 1 variety of black gram, 1 variety of corn seeds and 1 Variety of isabgol/psyllium. The products are marketed under the brand name of OSWAL. The majority of their sales are through their own Brand which contributed 66.00 %, 85.32 % and 95.25 % respectively to their total sales for the financial year ended March 31, 2015, 2016, and 2017 respectively. (iv) The Liaising/Contracting with individual farmers is one of the major step in their production mechanism. Upto November 30, 2017 the company have entered into contracts with 752 farmers, thereby giving them an access to around 2680 hectres of land. (v) The Company has one subsidiary Company in the name of Shree Oswal Psyllium Export India Limited, is engaged in the business of manufacturing, processing and sale of psyllium husk and psyllium husk powder. The Subsidiary also produces by products of psyllium such as cattle feed. Psyllium is a herbal plant and its leaves, seeds, husks, etc. are used on a large scale as effective herbal medicines. Psyllium products are used as curative solutions for a number of stomach problems and indigestion complications. It is a natural product and has no side effects at all. Oswal Psyllium Exporter is a leading manufacturer, exporter and supplier of well processed Psyllium Seeds, Psyllium Husks, Psyllium Powder, Agricultural Seeds, Industrial Grade Khakha Powder, etc. These products are naturally processed, dehusked and filtered at our modern manufacturing unit. (vi) The company has a diversified customer base covering states like Bihar, Jharkhand, Maharashtra, Madhya Pradesh, Rajasthan, Uttar Pradesh, Delhi and Punjab. They mainly market their product through different revenue channels which includes network of distributors, marketing agents and direct to consumers. 2. Profit n Loss Key Parameter (i) The Revenue of the company from ( FY13 to 8MFY18) is 22.54 Cr, 33.50 Cr, 58.60 Cr, 38.87 Cr, 43.00 Cr and 35.30 Cr respectively. The Company is growing at a CAGR of 17.32% from FY13 to FY17. However the topline is inconsistent over the years. (ii) The PAT of the company from ( FY13 to 8MFY18) is 12.5 Lacs, 17.71 Lacs, 30.98 Lacs, 31.31 Lacs,102.39 and 88.62 Lacs respectively. The Company is growing at a CAGR of 70.75% from FY13 to FY17, which is due to incredible PAT growth from FY16 to FY17 owing to reduce Finance cost, Employee benefits and Other expenses. However, the receivables days from FY16 to FY17 has gone up from 13 days to 53 days which is very high and undesirable as it leads shortage of cash required for day to day operations of the company which may dampens the growth in future. (iii)The EBITDA Margins of the company for FY13(3%), FY14(4.71%), FY15(3.51%) ,FY16(7.81%) and FY17(8%) . (iv) P/B(post issue)= 1.625 (at cutoff price of 26) (v) Annualized EPS(post issue)= .56. The Consolidated PAT of first 10 months is 71.85 lacs, so let us say PAT for the whole year is 86.22 lacs. The total no.of outstanding shares after the issue would be 152.47 lacs. So EPS would be 86.22/152.47= .56 (vi) Annualized P/E(post issue)= 46 at the cutoff price of 26. As per DRHP, it has shown Kaveri Seeds, Mangalam Seeds and Monsanto India as its listed peers which are currently trading at a PE of around 17, 31 and 30 respectively. So the issue looks aggressively priced for a SME company when Mainline company are available at discount. · Unlocking of subsidiary valuation in future would benefit the shareholder of Shree Oswal Seeds. · Company has also plan to start hybrid seeds. Company can give good return in short to medium term considering the performance of recently listed Seeds company. Though company business model is good and EBITDA margins have improved overs the years but the price is aggresively priced as compared to mainline stocks.